Advocates for the Jewish community are working to ensure that a key Federal Security grant maintain the record level of funding it received last year, despite a low-ball offer from the Senate which would cut the program by over 40 percent. Last year, amid rising levels of anti-Semitic incidents, Congress authorized $60 million for the funding, known as the Nonprofit Security Grant Program (NSGP), up from $25 million for 2017. While the program is open to all non-profits, Jewish institutions have received the majority of grants, which are awarded to organizations that are proven to be high-risk targets for attacks. 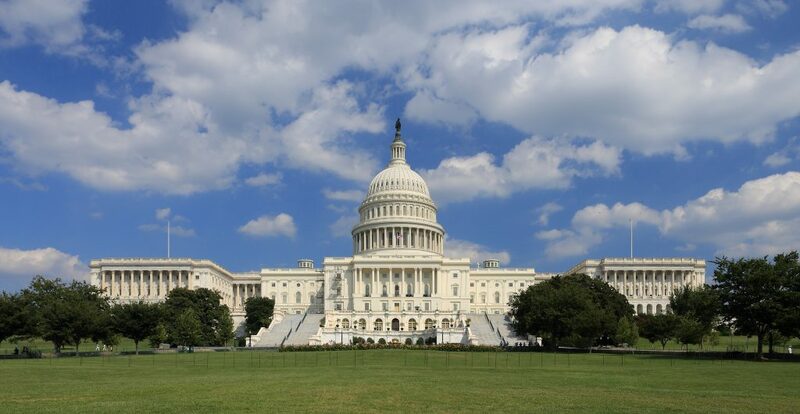 This past May, a budget proposal from the House of Representatives suggested that the program continue to be funded at $60 million, but a recent counter offer from a newly sworn-in Senate knocked the level down to $35 million. Despite the threat of a deep slash to the program, Rabbi Abba Cohen, vice president for federal affairs and Washington director of the Agudath Israel of America remains optimistic that both houses of Congress will agree to fund the NSGP at $60 million, especially given a continued up-tick in incidents targeting Jews. “The risks to Jews are getting greater and greater and after the Pittsburgh shooting, which was obviously the most visible example; in that background, I have a hard time believing Congress would cut the program,” he told Hamodia. Some have conjectured that the reason for the Senate’s proposed cut was not an attempt to take money from nonprofits, but rather a sense that money for security was available through other federal programs besides the NPSG. Rabbi Cohen said that he and other Jewish advocates, including the UJA-Federation, which has taken a lead role in the lobby effort, have worked to make it clear to key Senators that while several programs are available to nonprofits, it is unlikely that many shuls, Jewish schools, and other community institutions that have benefited from the NPSG would qualify for them. Under normal circumstances, the NPSG for 2019 would have been settled before the end of 2018, but an ongoing showdown between President Donald Trump and congressional Democrats over funding for border security has pushed off appropriations for several government departments. Homeland Security, through which the NPSG is funded, has been at the center of the storm. Nathan Diament, the Orthodox Union’s (OU) executive director for public policy, said that even if no long-term deal is brokered and the previous years’ funding is carried over, that option, too, would be a positive outcome at least for the NPSG. Nevertheless, he did not discount the effects of the budget impasse. “We’re concerned that this important funding stream is caught in the midst of high stakes political showdown, but we are working with allies and remain cautiously optimistic that we will be able to keep the NPSG fully funded,” he told Hamodia. Rabbi Cohen, as well, while relatively confident that NPSG would remain funded at $60 million, that the surrounding political drama leaves its future in an unsettled state. Now that a new House has been sworn in, legislators there will have to offer a new proposal as well, but as it has enjoyed wide bipartisan support, including from new Appropriations Committee chair Rep. Nita Lowey (D-N.Y.), advocates are not concerned that the new proposal will differ from last year’s. The grant program was originally enacted in 2005, largely at the urging of Jewish lobbying groups, as part of a national post-9/11 response to heightened domestic terror threats. The allocation was set at $25 million at the time, but was gradually decreased to $10 million. While the funding level has been steadily increased since then, the program was never formally authorized and needs to be lobbied for each year. The massive increase to $60 million was a landmark level. According the OU, thousands of shuls, Jewish day schools, yeshivos, and other communal institutions have received NSGP grants since the program’s inception.